Email marketing services provider Ecircle has appointed event agency Worldspan to handle delegate management and logistics for its Connect Europe 2012 digital marketing conference this month. 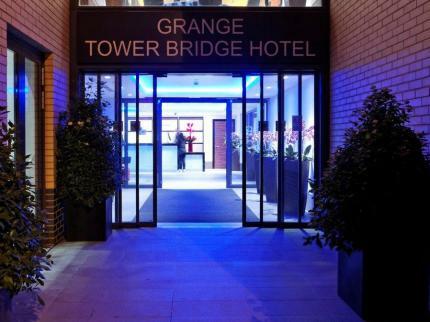 The event will be held at the Grange Tower Bridge Hotel in London on 15 March and is expected to attract at least 500 online marketers. Confirmed keynote speakers for the event include Innocent Drinks co-founder Richard Reed, Sir Ranulph Fiennes, and digital illusionist Marco Tempest. Ecircle head of UK marketing Lucy Hudson said: "The Grange’s space works well with the day’s format, with breakout rooms, natural light and brilliant branding opportunities for the networking area. It’s also perfectly located in central London." The event aims to showcase Ecircle’s digital marketing expertise, and offer delegates inspiration and networking opportunities. Hudson said: "Our aim is to create a truly interactive and technically appealing conference experience where delegates will go away armed with fresh ideas and advice to take their digital strategy to the next level." Event agency Worldspan was appointed to organise the delegate management and event logistics following a five-way pitch. Hudson said: :We exhibited at the Bazaarvoice Social Summit 2011, which Worldspan was supporting. We found them to be extremely helpful." She added: "They delivered a very professional pitch in a short amount of time, as well as offering us some new and inspiring ideas; they came up with some branding ideas as well as modern digital suggestions. Most importantly, the team is well-structured and organised." Last year the event was held at The Grange Hotel, St Paul’s in March.